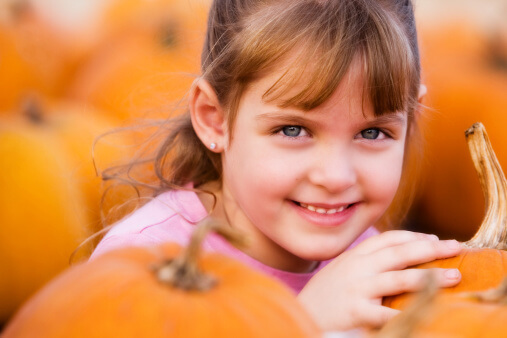 When it comes to the customary Halloween problem of huge amounts of sugar entering our children in a short time frame, Dr. William Tamborlane’s research on fiber and sugar has some practical applications. He found that total sugar intake does not correlate with changes in children’s behavior — but that the amount of sugar in relation to the amount of fiber does. So my trick is to get more fiber into kids on Halloween evening. Before trick-or-treating, enjoy a big dinner together. Aim for whole grains, vegetables, and/or fruits. Minimize dishes made from processed white flour or sugar. When kids return home from trick-or-treating, have them eat an apple before they dig into the sweets. Or slice a cool crisp apple, and have them alternate servings of candy with apple slices as they indulge. Happy Halloween to you and your family!